On the strength of his impressive championship run on The Contender, Brandon Adams is now ranked #6 by the World Boxing Orginization (WBO) in the middleweight division. Adams (21-2, 13 KOs) of Los Angeles, California defeated Tyrone Brunson, Ievgen Khytrov and Eric Walker to reach the finals. 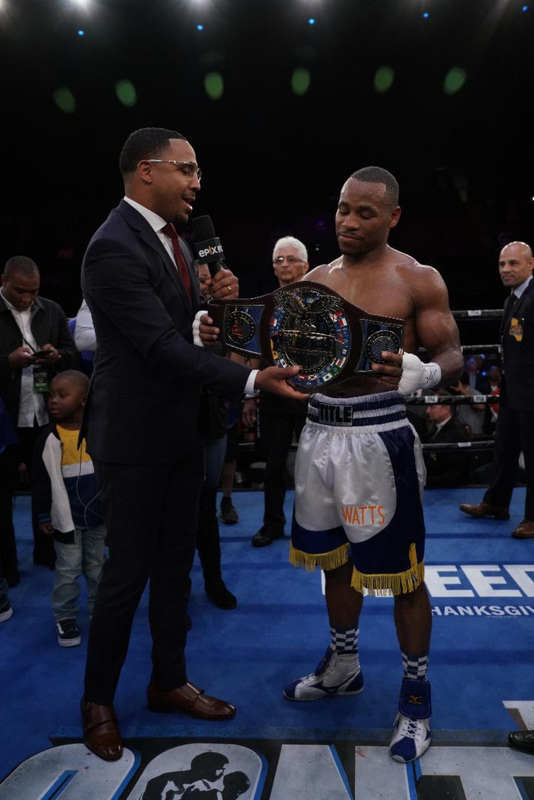 In the final bout, which took place on November 9th at The Forum in Inglewood, California, and live on EPIX®, Adams dominated Shane Mosley Jr. to capture the coveted championship. With the victories, Adams is now set up for major fights, which could include a world title opportunity with newly-minted WBO World Middleweight champion Demetrius Andrade. Adams is promoted by Banner Promotions and Tournament of Contenders with Jeff Wald.